Craig Pickett, Jr. graduated from Davidson College in May of 2008 with a Bachelor of Arts in Political Science. After discovering a passion for student development and higher education administration, Craig went on to Indiana University of Pennsylvania, where he graduated in May of 2010 with his Master of Arts in Student Affairs in Higher Education. Throughout his career, Craig worked with college students at various institutions, including the University of Pittsburgh, Carnegie Mellon University, the University of North Carolina at Greensboro, and the University of Tennessee. Craig has collaborated with faculty, staff, and students on a wide array of functional areas within student affairs, including admissions and recruitment, multicultural programming, first-year initiatives, college student retention, and academic support services. 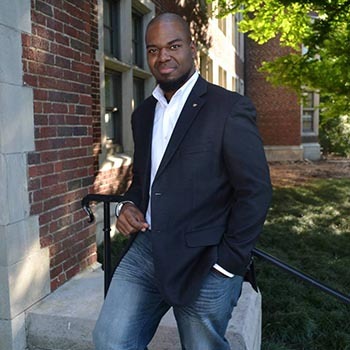 He is currently earning his PhD in Higher Education Administration from the University of Tennessee, where he plans to focus both his dissertation and ongoing research on the lived experiences of second-year African-American male students at public universities. While working as the Coordinator for Student Life and Diversity Programming at the University of Tennessee College of Agricultural Sciences and Natural Resources, Craig served as the Co-Advisor for the University of Tennessee chapter of Gamma Beta Phi, one of the largest student organizations on campus with over 500 members. In August of 2017, Craig transitioned to the Gamma Beta Phi National Headquarters by assuming the role of National Executive Director. In his current role, he works to ensure that chapters across the country continue to promote scholarship, service, and character, as we impact both the nation and the world through philanthropy. La’Soneka (Nikki) Isabell is a native Tennessean. She believes in both the importance & power of education. Nikki graduated from Tennessee Technological University in 2006 with a Bachelor of Arts in Sociology, as a non-traditional student. She subsequently went on to work for the institution as an Admissions Counselor from 2007-2009, which only intensified her love for higher education. Shortly after accepting the Admissions Counselor position, Nikki went on to pursue and obtain a Masters of Arts in Education-Instructional Leadership from Tennessee Tech University in 2009. 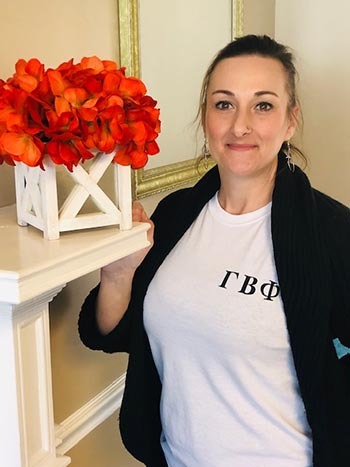 Professionally, Nikki has had many exciting career opportunities, but her most recent path has led her to National Headquarters of The Gamma Beta Phi Society. In August of 2017, Nikki accepted the position of Business Manager & feels so blessed to work in a dream environment with the best team ever! 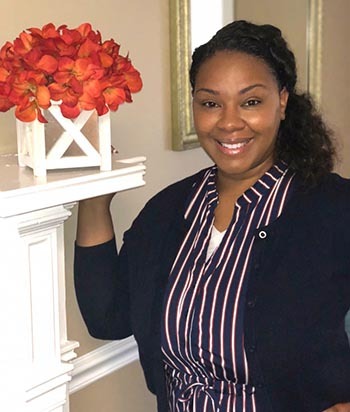 She loves the customer service element in her job, as it allows her to continue living out her life-long passion to serve & connect with others in a positive & professional manner, while being able to build meaningful relationships. Nikki is thankful to be a part of such a great organization & is thrilled that she gets a front row seat at all the wonderful things that are in store for Gamma Beta Phi! She welcomes you to call, email, or even stop by National Headquarters for a quick visit if you’re ever in the Knoxville area & need assistance or would just like to say “hi”. She is happy to serve & ready to greet you with warm smile! Tiffeny Click serves as the Gamma Beta Phi Sales and Inductions Specialist. She was born in Houston, TX, and raised in both Colorado and Illinois. With a desire to help people find complete health and wellness, Tiffeny pursued an active career in nursing at Lincoln Land Community College. Tiffeny truly believes in living a life full of passion and purpose. As a result, she focuses on helping others see their self-worth by building them up and finding ways to promote happiness! Her diverse work experiences center on human development, entrepreneurship, and customer service. One of the major sources of influence in Tiffeny’s life is her amazing daughter, who holds a successful career as a Medic in the United States Army. Tiffeny aspires to leave a lasting impact on others, and to create opportunities for growth, development, and joy! In her current role, Tiffeny works with National Headquarters staff to manage the online merchandise store, office inventory, and social media initiatives. If you have any questions regarding GBP’s online store or shipping information, or questions on becoming a member of this great society, please feel free to contact Tiffeny!